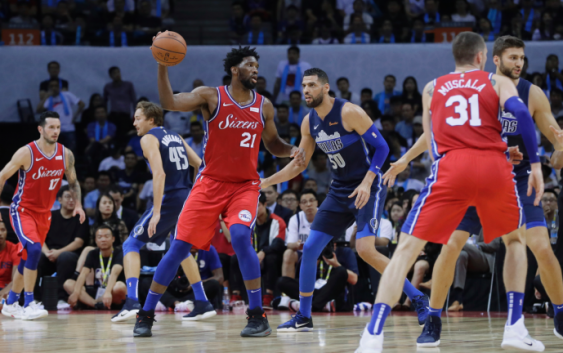 It was the final minute of a preseason game between Philadelphia and Dallas, the 76ers were up by four points with the ball, and thousands of fans were screaming “defense” at the top of their lungs. The NBA has been going overseas to play either preseason or regular season games for 40 years, and the global footprint of the league — not to mention its business interests — continues to expand. The league has opened up 11 international offices, establishing six academies on four continents and started broadcasting games to more than 200 countries and territories. The numbers touted by the NBA are impressive: 300 million people playing the game for fun in China alone, rapid growth in India over the past decade as that country is on pace to become the world’s most populous by 2025, an estimated 1 billion people around the globe — that’s basically 1 out of every 7 people alive — having some access to the NBA Finals. And China — which got to cheer one of its countrymen, Ding Yanyuhang, in a preseason game there this year — is the dominant force in all that international traffic. Marvin Johnson moved from the Miami area to China in 2017 to teach and coach at a basketball academy there. The first thing he saw when he deplaned in Beijing was a massive Li-Ning store, which was basically a shrine to Heat guard Dwyane Wade — who now has a lifetime contract to endorse the Chinese brand’s products. Wade and Heat teammate Udonis Haslem went to China this summer to promote Li-Ning. Everywhere they went, thousands of people were waiting, and that’s now standard for when any big-name NBA player heads to Asia. LeBron James has made an annual trip to China for years. Stephen Curry dropped some Mandarin on fans there when he visited this summer. Kevin Durant played HORSE and didn’t lose. Klay Thompson — or “China Klay” — lost at pop-a-shot. But it’s clearly smart NBA business now as well. Curry’s summer might have epitomized the marriage between the NBA and foreign cultures — not to mention cross-promotion. He didn’t just go to China. He also hit the Philippines, England, France and Japan. He tossed out the ceremonial first pitch at a Japanese baseball game. He shot around with soccer star Neymar. He watched a Premier League game in England. “One of the best summers that I’ve had,” Curry said. The idea of going global for regular-season games obviously isn’t exclusive to the NBA. Baseball opens next season in Japan with a two-game series between Seattle and Oakland. The NFL is playing three regular-season games in London in a three-week span that starts Sunday with — perhaps ironically — Seattle and Oakland beginning the slate there, too. The NHL is sending Florida and Winnipeg for a two-game series next month in Finland. In China, where Yao Ming really got things started as far as the NBA growth, the league is well on its way to that No. 1 spot. 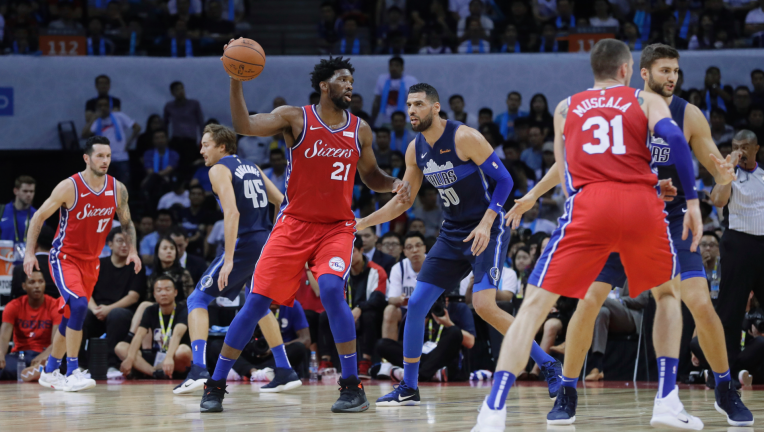 It’s not uncommon to see fans watching streams of live NBA games on their phones during the morning commutes to work, since that’s when those games are happening in the U.S. and Canada. A weekly highlight show on Chinese television typically draws an audience of up to 30 million fans.